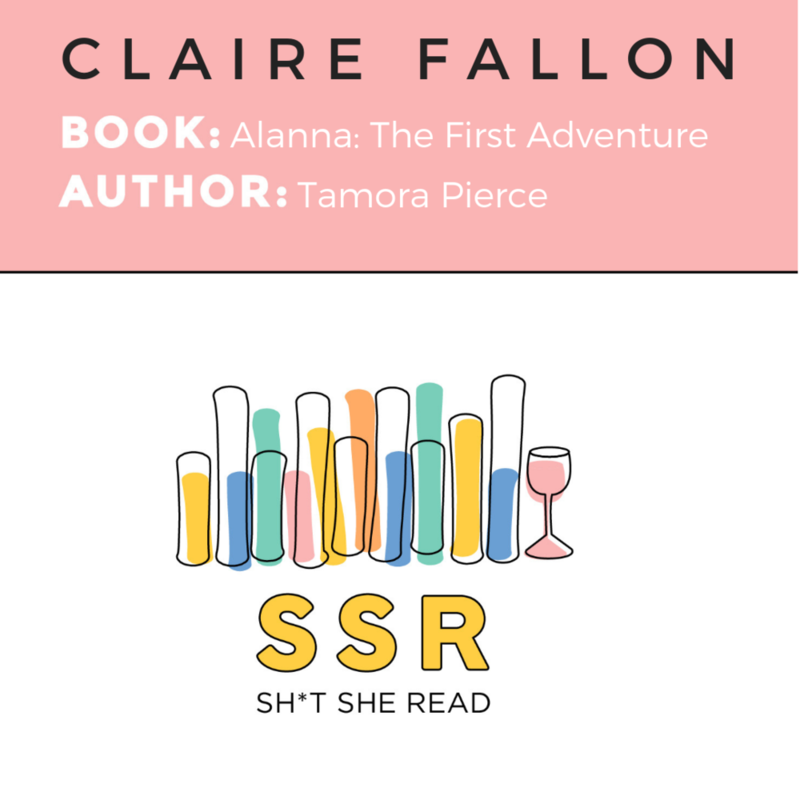 In Episode 44, Alli is introduced for the first time to Tamora Pierce’s Song of the Lioness quartet, and HuffPost’s Claire Fallon joins to discuss the first book in the series, aptly named Alanna: The First Adventure. In it, our heroine Alanna seeks to circumvent the expectations of girls in her society by dressing as a boy named Alan and taking her twin brother’s place at the palace, where she can begin training to becoming a knight. The book raises questions of identity, gender, conformity, and whether or not violet eyes are really ever found in nature. Follow Claire on Twitter @ClaireEFallon and Instagram @claireefallon. Listen to the Here to Make Friends podcast! Published in 1967, Zilpha Keatley Snyder’s Newbery Honor-winning book The Egypt Game is the story of April Hall and Melanie and Marshall Ross, three smart, imaginative kids who create their own land of ancient Egypt in the backyard of a mysterious local curio shop. They establish a series of rituals and ceremonies and even go on to welcome three more children into the group (boys included!). In this episode, Alli breaks down the story with debut author Andrea Bartz. Together, they discuss diversity in kid lit, the difference between cultural appropriation and cultural appreciation, teasing as a form of flirting and social currency, the importance of imaginative play, bossiness, mental illness, the way we talk to kids about hard things, and more! Follow Andrea on Twitter @andibartz and Instagram @andibartz. It’s the 1930’s in rural Mississippi, and nine-year-old Cassie Logan is learning to face the realities of racism. She has her brothers — Stacey, Christopher John, and Little Man — to help her find her way, and a host of strong-minded adults to guide her in figuring out the best way to approach the tensions and prejudice she faces. This is the set-up for Mildred D. Taylor’s Roll of Thunder, Hear My Cry, and we’re talking all about it on Episode 42. You’ll hear conversations about family legacy, pride, annoying friends, institutional racism, the opportunity gap, The Hate U Give, and so much more. Join guest Renée’s Book Girl Magic community! Follow her on Instagram @book_girl_magic and on Twitter @bookgirlmagic. Join the party on Facebook and YouTube, too! Which March sister are you? Take the Book Riot quiz here! You may know her as @molliereads from her blog Mollie Reads and her podcast No Thanks We’re Booked, and on this week’s episode of SSR, Mollie Turbeville joins Alli to discuss Caroline Cooney’s 1990 YA thriller The Face on the Milk Carton. In Episode 38, they break down the plot that’s been freaking teens out for the last three decades (what if you suspected that your parents might have kidnapped you??? ), gossip about pushy boyfriend Reeve, and compare notes on how the author portrays trauma on the page. Allow us to (re)introduce you to Henry, Jessie, Violet, and Benny Alden. You probably know them better as The Boxcar Children and the protagonists of the now 150+ titles in the beloved series of the same name. Having been orphaned, the children are left to fend for themselves, and they rebuild their lives in an abandoned boxcar. 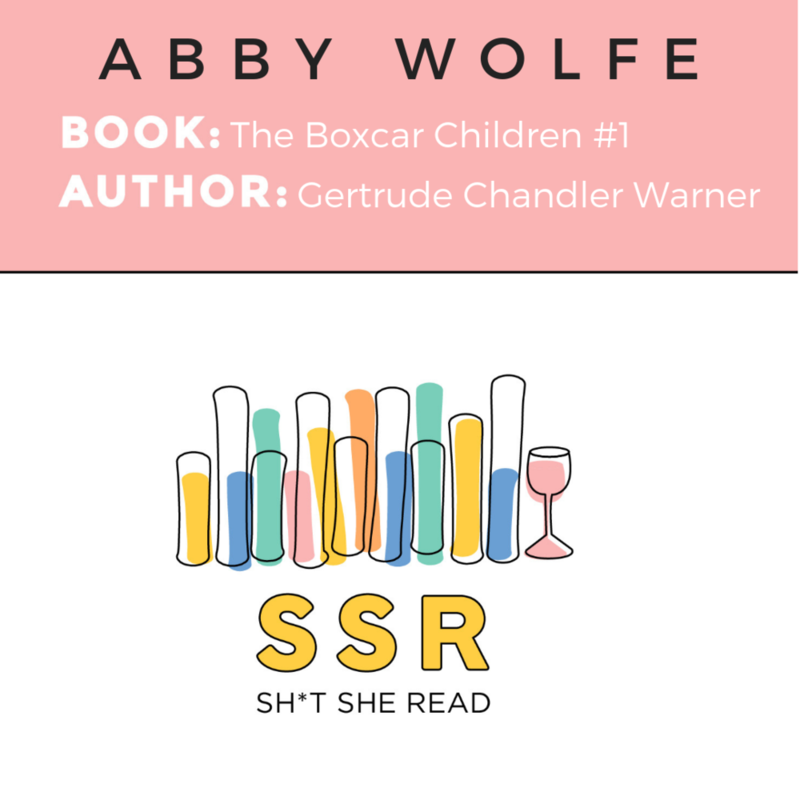 In Episode 37, writer and educator Abby Wolfe joins Alli to chat about the first book in the series (The Boxcar Children #1). Tune in to listen to them talk about important lessons of resourcefulness and perspective, discuss the heteronormative stereotypes that are so often imposed on young children, and speculate on just how many pine needles it would take to turn a boxcar into a cozy home. Follow Abby on Twitter @shmabbywolfe and Instagram @shmab, and stay tuned for her forthcoming podcast! 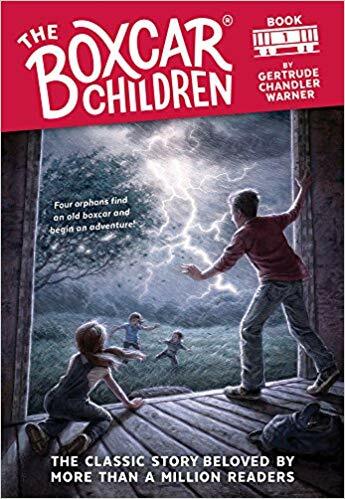 The new Boxcar Children cover — very controversial! If there’s one book that’s been requested for the podcast time and time again by women of all ages, it’s Judy Blume’s Are You There God? It’s Me, Margaret. This 1970 novel has served as a kind of guidebook for girls preparing to navigate middle school, puberty, and all of the confusing things that come with them for the last four decades. Joining Alli to talk all things religion and being a lady on Episode 36 is Emma Gray. Emma is a senior reporter focused on women’s issues at HuffPost and the author of A Girl’s Guide to Joining the Resistance: A Feminist Handbook on Fighting for Good. She is also the co-host of the Bachelor-themed podcast “Here to Make Friends,” which was named a “must-listen” by The Daily Dot. Follow Emma on Twitter @emmaladyrose and Instagram @emmaladyrose. Before I Know What You Did Last Summer was a blockbuster hit movie, it was a 1973 young adult thriller by Lois Duncan, and with the help of Literary Roadhouse’s Anais Concepcion, we’re chatting about it on Episode 35. Of course, we break down the plot, but we also talk about hotness in YA, discuss the roots of the #MeToo movement in chauvinistic literary characters, and LOL at various relics of the ‘70s. Follow Literary Roadhouse on Instagram @literaryroadhouse and Twitter @litroadhouse and follow Anais on Twitter @anaisconce. TUNE IN TO THE LITERARY ROADHOUSE EPISODE FEAT. ALLI — HERE! Happy Valentine’s week, listeners! In honor of all things love, we’ve picked something a little dreamy and romantic for Episode 34 — Natalie Babitt’s 1975 novel, Tuck Everlasting. Tune in to hear us talk symbolism, Alexis Bledel, the creepy child catcher from Chitty Chitty Bang Bang, and the trouble with first impressions. We also dive into the pros and cons of immortal life and debate the nature of the relationship between shy, ten-year-old Winnie and teenage heartthrob Jesse Tuck. Chelsey is an English teacher, bookworm, and podcaster. Tune in to her podcast He Read She Read! Follow her on Instagram @hereadsheread for podcast updates and @chelseyreads for book reviews. TUNE IN TO MY CONVERSATION WITH CHELSEY’S HUSBAND CURTIS — HERE! Having never read Anne of Green Gables before, Alli finally meets the strong-willed, imaginative Anne Shirley for Episode 33. With the help of freelance writer Julie Vadnal, Alli discusses Anne as a role model, debates the decision our heroine must ultimately make between work and family, and considers the possibility that she might actually be a little annoying. Julie’s work has been featured in Cosmopolitan, ELLE, Esquire, Glamour, and Real Simple. Follow her on Twitter @JulieVAD and Instagram @julievadnal. Sign up to receive her JULES newsletter at JulieVadnal.com. In Episode 32, Alli resists the urge to fangirl as she welcomes one of her favorite podcasters to wrap up Manuary and discuss Louis Sachar’s Holes. A commercial and critical success, the novel has maintained its popularity for more than two decades thanks to its humor and sense of adventure — but from where we sit in 2019, we realize that there are bigger themes at play, as well, including race, class, and the prison industrial complex. Tune in to hear us talk all things Stanley Yelnats, along with broader conversations about how we process culture as adults versus how we process it as kids, the pressure we put on creators to have strong opinions, and why Holes has been so beloved for so long. Kevin T. Porter is a writer and comedian and the host of the Gilmore Guys (currently focusing on The Marvelous Mrs. Maisel) and Good Christian Fun podcasts. Follow him on Twitter @kevintporter. TUNE IN TO MY CONVERSATION WITH KEVIN’S GCF CO-HOST CAROLINE ELY — HERE! Much like a large piece of fruit, Manuary rolls on with Episode 31, in which we discuss Roald Dahl’s 1961 classic James and the Giant Peach. With the help of guest Chris Rosen, Alli wonders about just how violent and scary is too violent and scary for kids, considers how we should talk to young readers about grief and loneliness, and speculates on how creative (and maybe bizarre) Dahl must have been to think of worlds like this one. There’s also extensive conversation about giant bugs, of course. Chris Rosen is the editor-in-chief at TV Guide. Follow him on Twitter @chrisjrosen. And check out the Saving Private Ryan essay by William Goldman here. TUNE IN TO MY CONVERSATION WITH CHRIS’S WIFE KASE WICKMAN — HERE! There is perhaps no other book in history that captures the importance of imagination — and of sucking it up and having a good attitude about learning new things — better than Norton Juster’s 1961 The Phantom Tollbooth. In Episode 30, Alli jumps aboard a giant toy car with protagonist Milo and his friend Tock (the literal watchdog) and explores the fascinating Kingdom of Wisdom with the help of Curtis from the He Read She Read podcast. Alli and Curtis geek out over wordplay, speculate on “what the kids are doing these days,” and break down the many brilliant, zany moments of The Phantom Tollbooth. Follow @hereadsheread and @curtisreads on Instagram, and tune into He Read She Read on Apple Podcasts. The Baby-Sitters Club Club’s Jack and Tanner join Alli for this history-making first episode of Manuary! In it, they break down the ridiculous circumstances that lead Dawn, Claudia, and several children (!!!) to find themselves shipwrecked in Connecticut in Book #4 of the Baby-Sitters Club Super Special series extension, Baby-Sitters Island Adventure. They also make an argument for which babysitter is objectively the worst, share their definitive list of Ann M. Martin’s best-ever novels, and explain why the Baby-Sitters Club series holds up better long-term than Sweet Valley High. Follow the Baby-Sitters Club Club on Twitter (@BSCCPodcast), and join them on Facebook, too (@The Baby-Sitters Club Club). Listen to the podcast on Apple Podcasts, Google Podcasts, Spotify, Stitcher, and TuneIn. The beautiful John Pike (oh, and his family). Episode 28: Bonus Q+A #1! For the first time ever, SSR host Alli answers listener questions! Tune in to hear her talk about her marriage, her previous job in the publishing world, and her career as a freelance writer… and for plenty of book talk, too. Alli dishes on her favorite titles past and present, her favorite genre, and the books that have been on her TBR list for, like, ever. Follow Alli on Instagram (@ahoffkosik) and Twitter (@ahoffkosik). WANT TO BE A GUEST ON SSR? Drop us a line at hellossrpod@gmail.com or send a DM on Instagram! Ever since its publication in 1978, Ellen Raskin’s Newbery Medal-winning The Westing Game has been introducing young readers to key elements of amazing books: a fascinating ensemble cast of characters, a whodunit storyline, and a series of shocking bombshells at the end. It’s no surprise, then, that the novel has endured as a favorite for so many over the years. In Episode 27, guest Lauren Boone joins Alli to break down the many twists and turns of this beloved book, to discuss the way stereotypes were handled by authors in the seventies, and to generally marvel at how freakin’ talented Ellen Raskin was. Follow Lauren — who currently works at Renaissance Literary & Talent — on Instagram (@lalafalana). Jerry Spinelli’s Stargirl was a favorite of Alli’s when she was growing up, and in Episode 26, she discovers that she can still mostly love rereading a book from childhood, while also recognizing that it’s pretty problematic. Is she still a Stargirl fan? Tune in and find out! In this episode, Alli and guest Britta Lokting talk about all things high school stereotypes, popularity, and conformity. They also discuss first loves, the #MeToo movement, Taylor Swift, Hillary Clinton, and Alli’s hilarious history as part of her high school’s morning news show. Britta is a New York-based freelance journalist, whose work has appeared in The New York Times, New York Magazine, The Village Voice, The Baffler, and more. Follow her on Instagram (@blokting) and Twitter (@BrittaLokting). CHECK OUT THIS VIDEO OF GRACE VANDERWAAL, WHO’S SLATED TO PLAY STARGIRL IN THE FORTHCOMING MOVIE! Published in 1973, Susan Cooper’s The Dark Is Rising feels in many ways like the OG Harry Potter — in it, a young, seemingly average British boy learns on the eve of his eleventh birthday that his fate is much bigger than he ever could have imagined. In Episode 25, Alli (a total newbie to this series!) and guest Erica Berger discuss everything from spiritual energetic centers and childhood nostalgia to Star Wars and modern politics. Are the lines between dark and light really so clear? Is it more important for kid protagonists to learn by making mistakes or by beating impossible odds? Tune in to hear what they think! Hear more from journalist, host, strategist, and investor Erica on the TBD Podcast. Follow her on Twitter (@GoodBerger).